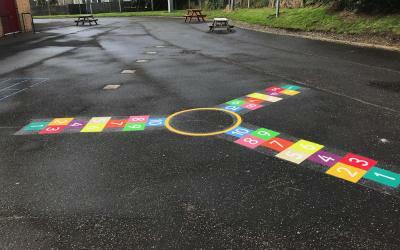 In accordance with the “Daily Mile” a new idea to counter the rising epidemic of obesity in primary school children, we have updated our walk a mile game. 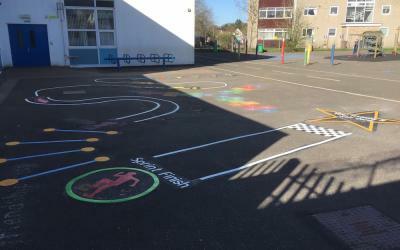 Our installation team drove North to Edinburgh to install a range of bright new playground markings for a local Primary School. 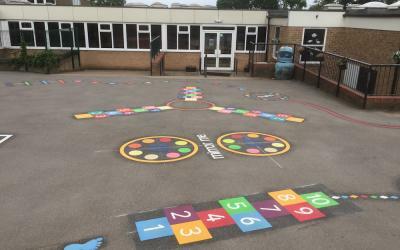 Our installation team drove South to Brent in London to install a range of brightly coloured Playground Markings for a local Primary School. 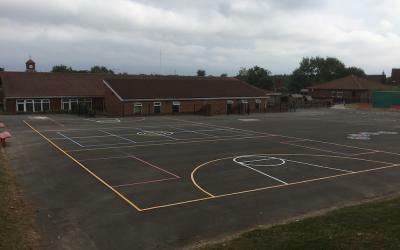 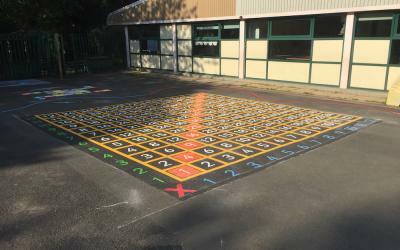 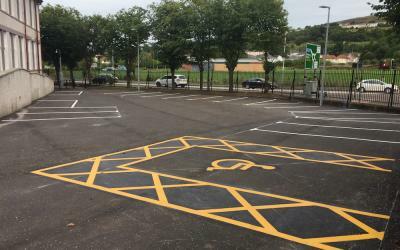 Our installation team drove down the road to Kingston Park Primary School in Newcastle Upon-Tyne to install a range of new vivid playground markings. 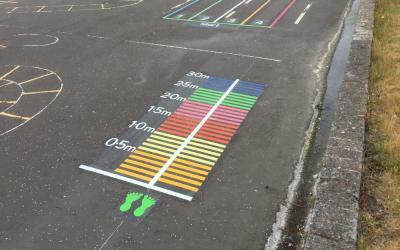 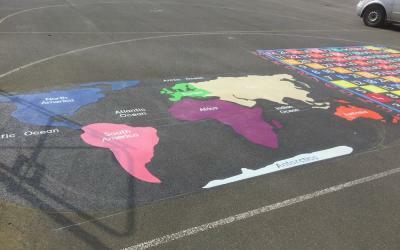 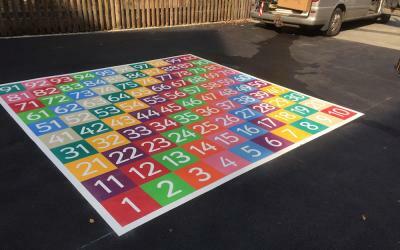 Bright new playground markings for a School in Glasgow. 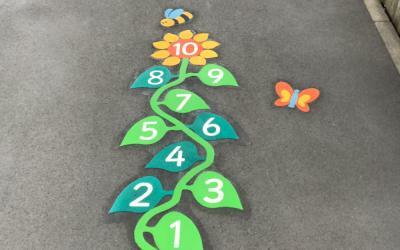 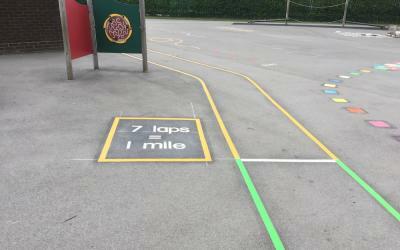 Our installation team travelled up the UK to Glasgow to install a range of new exciting and educational playground markings at Lady Alice Primary School. 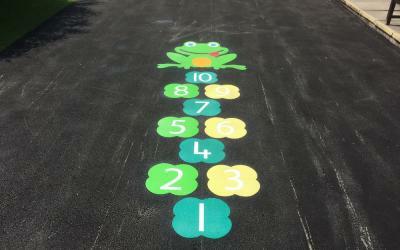 At first4playgrounds, we have just added two new items to our Circuits Tracks and Trails stockpile. 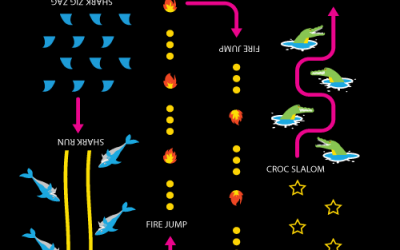 A Danger Trail and a Countryside Trail. 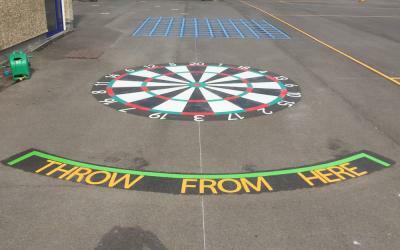 Our installation team travelled North to Bellshill near Glasgow to transform Lawmuir Primary Schools Playground with these vivid new playground markings. 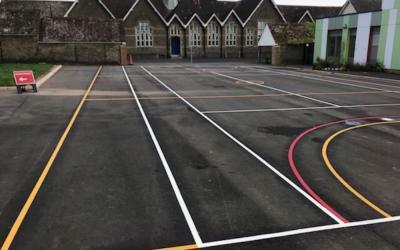 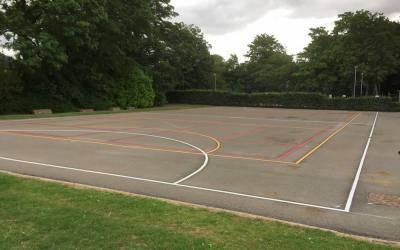 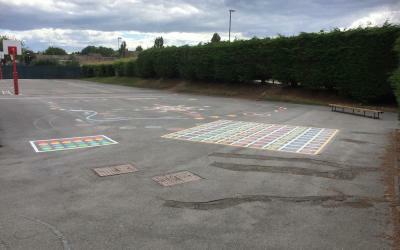 Our installation team travelled down the road to Washington to install a wide range of vibrant playground markings for Lambton Primary School. 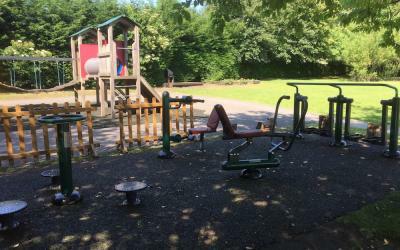 Our installation team travelled to Barnard Castle, in The North East to install a range of new Outdoor Fitness Equipment for St Marys Primary School. 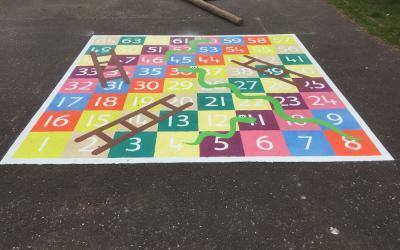 Our installation team traveled North West to Glasgow to install a range of lively new markings for a local Primary School. 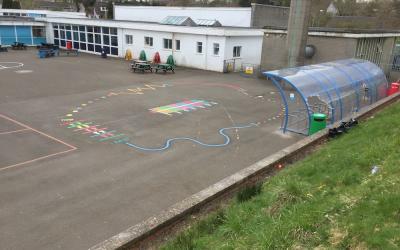 One of our installation teams traveled North to Bellshill in Scotland to transform Sacred Heart Primary Schools playground.